What will happen if society collapses? What would you do if there's no one to help you or your family? 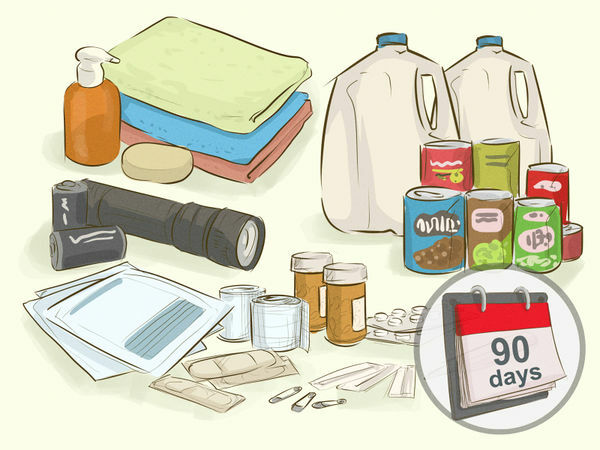 Disaster preparedness is more than worrying––it's also about being practical, preparing for realistic scenarios and being ready for the unpredictable. 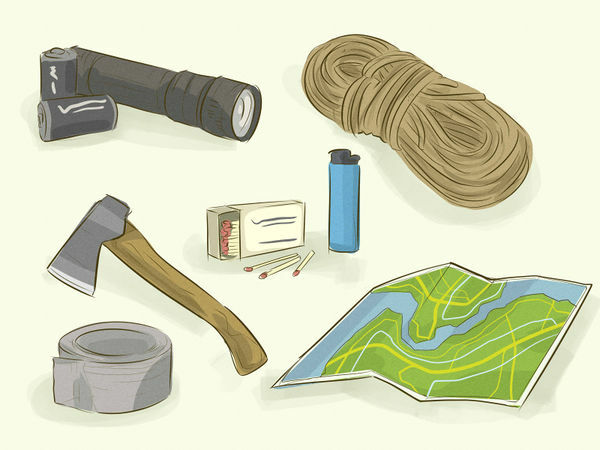 An apocalypse is unlikely, but you'll need to know what to do in case it happens. 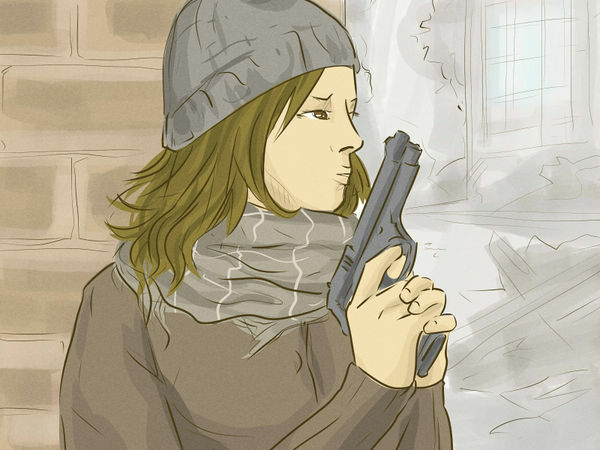 Surviving after a major apocalyptic event is not going to be short term since the entire country or the world is likely to be falling apart––there are no two ways around that reality. However, hopefully having three months of supplies will get you settled and going with your new self-sufficient habits. The more time you have dedicated to forming a plan when disaster does strike, the better. 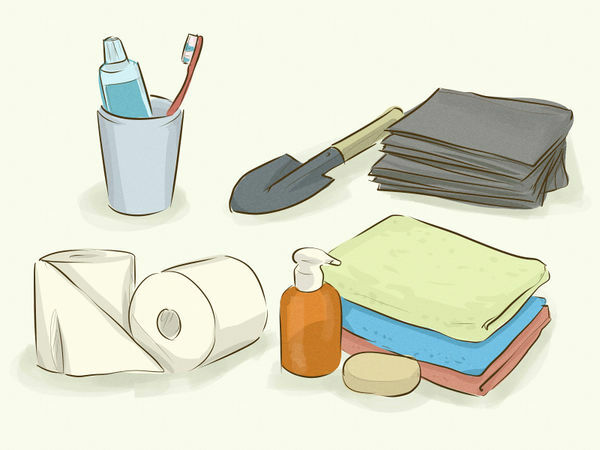 When preparing the supplies, think in two categories: basic survival and getting by, as outlined in the following two steps. 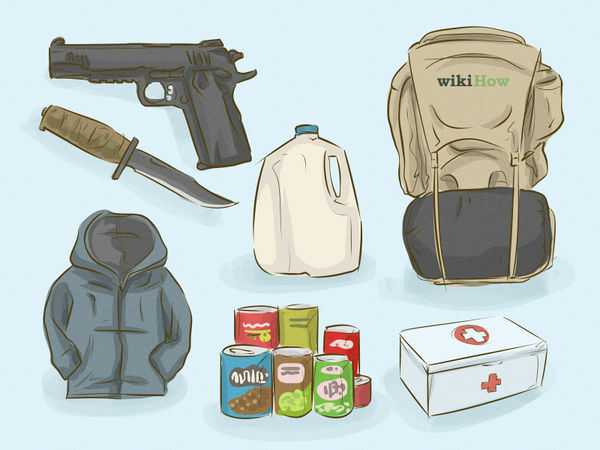 Consider storing the following: Jugs of water Canned goods Vacuum-sealed goods Blankets and pillows Medications A weapon that you actually know how to use properly A knife (in addition to a weapon) Warm, long sleeved clothing (if your climate requires it) Carrying bag (for moving and/or fleeing). You'll be dealing with everything from cuts to dysentery. Hospitals will cease to function and exist so simple problems will seem a lot more daunting. 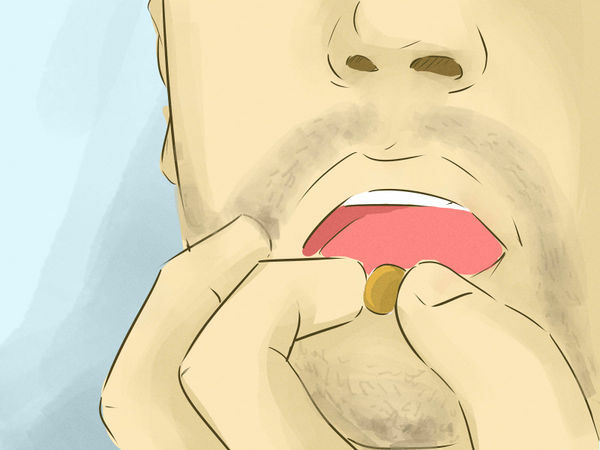 If you or a family member has a specific ailment, stockpile medications for that, too. Everyone in the household and close family and friends should have a communication system to communicate with family and friends. 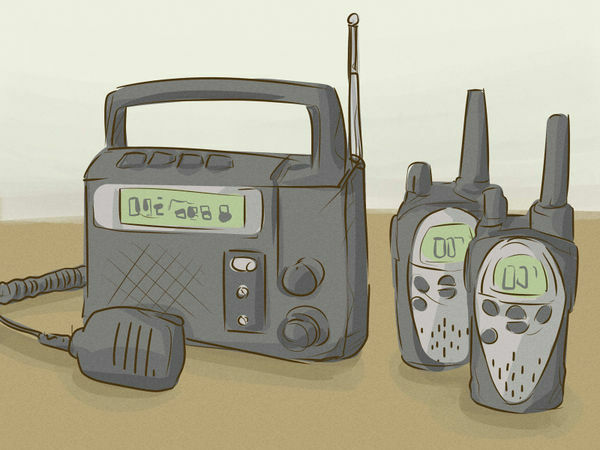 Communicate secret locations with your family members and friends using a radio. Keep batteries with your radio. The last thing you want is to presume you're prepared when you're really not. And if you have a loved one you're taking care of, make sure they have a radio and you're not keeping both of them for the two of you. When all else fails, work out how you will contact each other. This is when your permanent markers will come in handy. 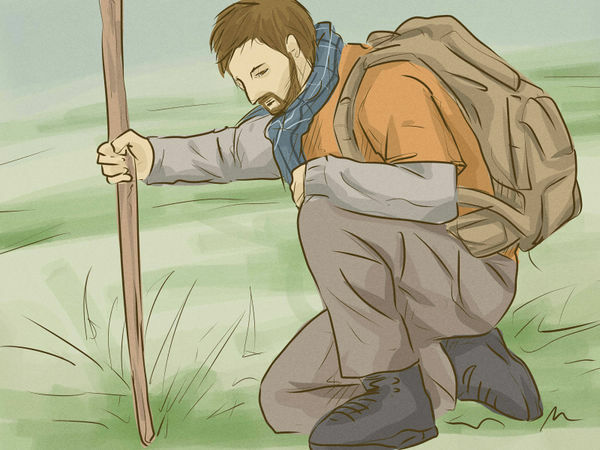 If the apocalypse strikes and you have left the house, write down where you are going, when you left, and if/when you'll be back on the wall, on a rock, on a nearby car, wherever you can find. Hoarding gasoline won't work; the chemicals that once kept it fresh will degrade it in time. After a year or so, it goes bad. 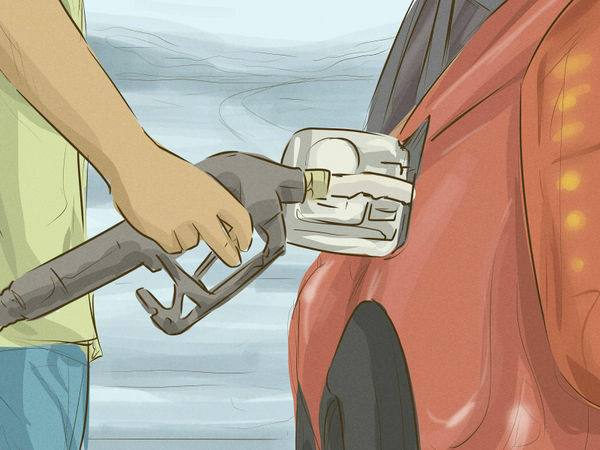 Chances are gas stations will run out of gasoline but there could be some diesel left. In addition, all military diesels can run on other fuels as well, from rotten kerosene to fermented leaves. So invest in something that can handle the harder fuels. In said vehicle, it's equally as likely that you'll be in it when all breaks loose, so pack a survival kit to keep in your car as well. Is there such a thing as being too prepared? If this isn't an option, make sure you have a bicycle laying around somewhere that's fully functioning. There will be a point when you need to cover large distances in a short amount of time. Knowing how to work a gun is going to keep you from either dying or being voted off the island.. And while you're at it, buy a couple (if you haven't already). Regardless of who or what you'll be facing, this is probably a good idea. Anything menacing needs to be kept far, far away. 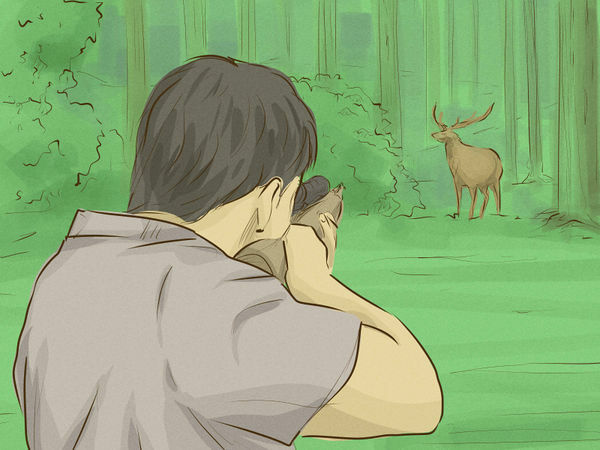 Whatever or whoever your enemy, shooting them will probably increase your chances of not being attacked or eaten. Unless the apocalypse is due to some bacteria that's floating around in the air. In that case, get a gas mask. The people/zombies/menacing forces will probably still see you as an enemy. Master the art of the snare trap. If you're really scrappy with it, you need nothing but what nature provides you. If you're on the ocean or near a body of water, get to fishing or fly fishing. Your stock of baked beans and Spaghetti O's certainly isn't going to start spawning miraculously. 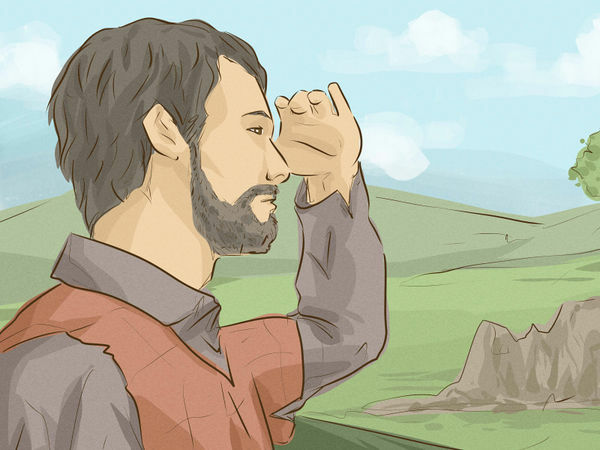 Take a hint from Katniss and start honing your archery skills. Once you've got a reason, learn how to make your own bow. 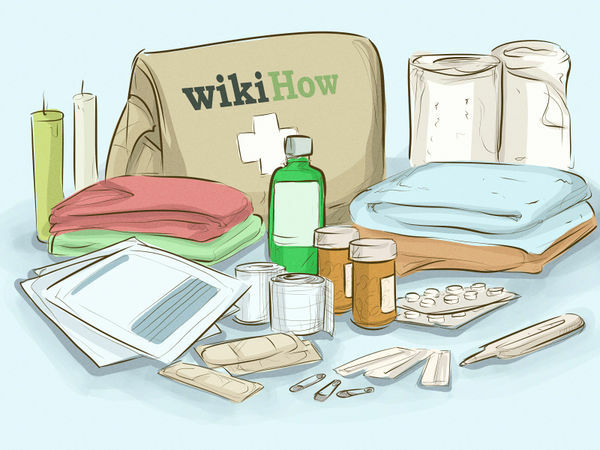 Take the time to read through wikiHow's disaster preparedness section. Read every novel on every version of apocalypse you can. Even though such novels are "fiction", reading about how the characters scavenge for food, retain water, and find shelter might just be the thing to save your life. However, do not rely on these as your only preparation. 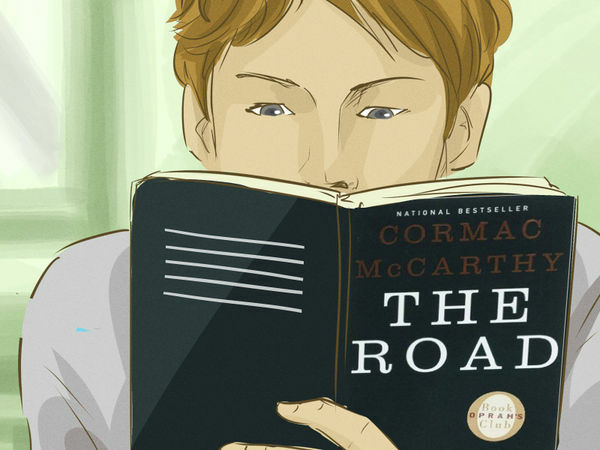 Examples of books to read include: The Road by Cormac McCarthy, Lucifer's Hammer by Larry Niven, Alas, Babylon by Pat Frank, Earth Abides by George R. Stewart, Stephen King's The Stand, and The Day of the Triffids by John Wyndham are all great places to start (even if the apocalypse doesn't end up coming anytime soon). You've already read The Hunger Games, right? If we're all honest with ourselves, what kind of world could we recreate without others? For most of us, not much. Can you make a battery from a lemon? Or a potato clock? Lowering the bar... how are you at tying knots? Taking car batteries and daisy chaining them will act as an energy storage device, but you're going to need to generate power. 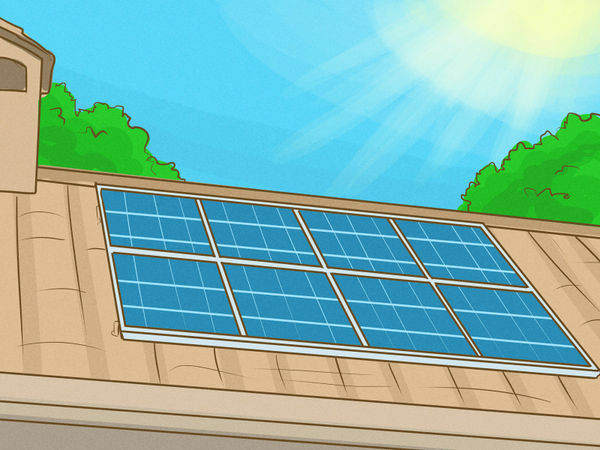 A generator running on wood, gas or a diesel engine where you can make your own fuel is good, but the real payoff is using renewable energy by making your own wind turbine out of PVC pipes and a car alternator or scavenging some solar panels near a highway. When the events do take a turn for the worst, at least you'll be able to be productive at night and have some of the luxuries of your former life. 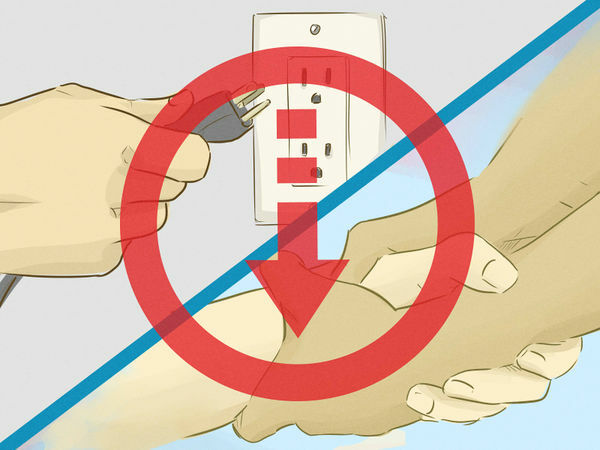 Having electricity in your safe house will keep the lights on and keep electronics running. Electricity is important to run power tools, welders, water/fuel pumps, radio equipment as well as charge any portable item or comfort item you may wish to use. It'll be a surprising source of morale, too. Over time, new society will form. The collapse of a single city usually summons the National Guard, meaning that you will be relocated to a different society eventually. The collapse of a country means that you can now start your own country. If you were out lounging on your pool deck with nothing but earbuds on and iPhone in hand (how else would you be reading this? ), you're going to want to put on some layers. Even if the meteor looming on the horizon will send a blast of heat from here to Fargo, you'll be glad you did. Pretty much any cause for an apocalypse requires long, comfortable clothing. You want a long-sleeved shirt and pants to protect your skin from predators, yes, but also from the sun and treacherous terrain. The apocalypse is no time to work on your tan. If you have time, grab a pair of boots. If you don't have boots nearby, go for tennis shoes. You may have to break into a dead sprint at any time. If you have the luxury, make sure you're comfortable enough in your clothes and shoes to flee. If for some odd reason your house isn't safe to stay in, you'll need to get out as soon as possible. 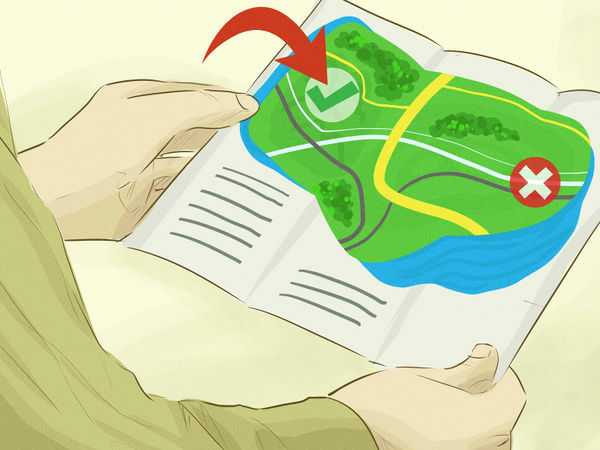 With your map in hand, get out and get out now. Would you do best in the forest? Near water? 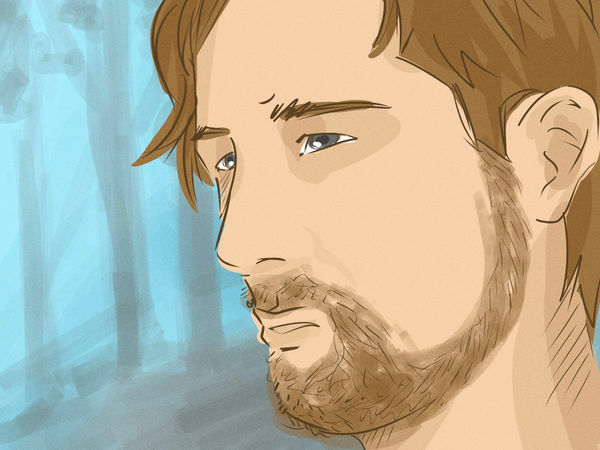 Are you concerned with privacy and hiding from others or is there not another soul in sight? Your specific situation will determine where you should go. Again, if you can stay in your house, do so. A shelter is best and friends and family will know how to find you. Make an assessment of your situation. Be as logical and rational as possible. You may want to stay, but is it best for you and your family? Even if it's not nuclear, you'll be better off escaping the perils of weather and being exposed to predators by getting and staying inside. But if it's a blast that is putting down the human race, it's doubly imperative that you shield yourself from the radiation as quickly as you can. 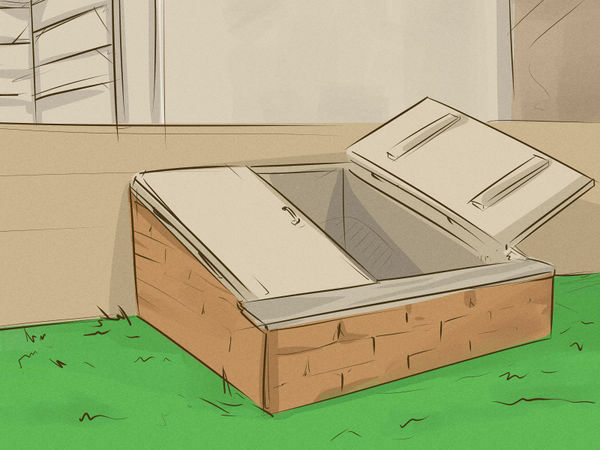 Basements are a good place to start. 16 inches (40.6 cm) of solid brick can keep radiation away from you, so you should fairly set there -- not to mention among your own things. One inch (2.5cm) of steel will do it too, but you probably don't live on the Enterprise. You'll probably want this to be from a remnant of your soon-to-be past and not a raspberry bush or particularly lively pond. 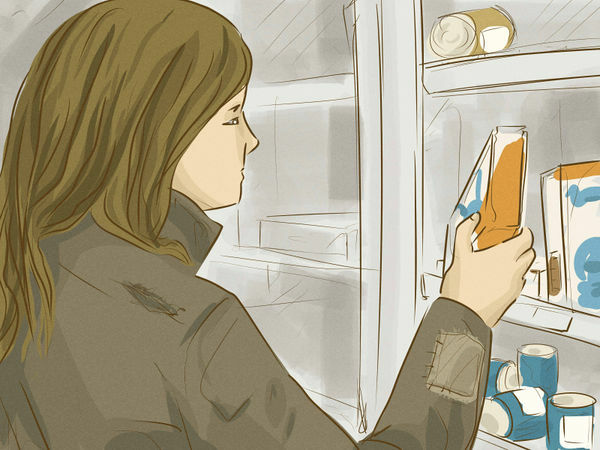 A grocery store or even recently-deserted houses are your best bet. As you're scrounging, get a candy bar and chow it down. The last thing you want to think about right now is hunger. And stock up. Don't think in terms of days; think in weeks. Grab a few bags and start scrumping. What can you carry that'll last the longest? Think in volume and weight in addition to preservation. Cans are good, but they're heavy. But if everything is already picked over, don't get fussy; take what you can get. You'll need just anything to survive. Water. Get loads and loads and loads of water, or else you'll be drinking your pee in no time. It's safe to assume at this juncture that whatever is out there is not your friend. Find a weapon that you can actually use and start watching your six. When it comes to humans, there is no place for intelligence and culture now -- you do what you need to do. 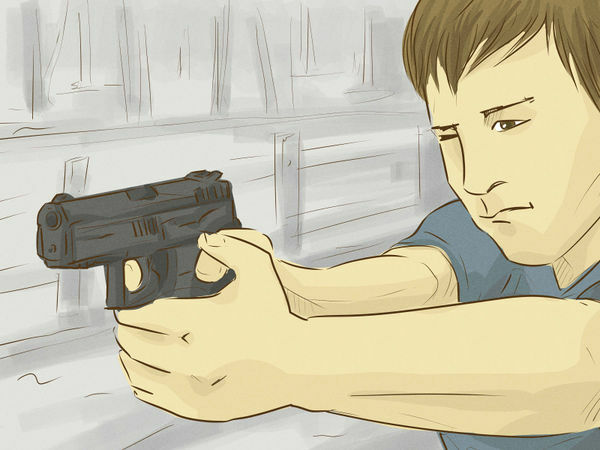 Don't flash your gun like you do your BMW. Conceal your weapons. You know that scene in Die Hard where Bruce had those guns taped to his back (despite the fact that tape doesn't adhere easily to pools of sweat) and pulled a one-over on that German villain either played by Jeremy Irons or Alan Rickman? That's going to be you. No one's going to pull the wool over your eyes. You're a weapon yourself. You've got your food, you've got your weapons, and you've staked out a place to stay. Now it's time to assemble a team a la The Walking Dead. Except that you want a team that is actually useful. When you consider taking on others (they're mouths to feed, after all), assess what they can do for you. Do they know plants? Are they a wizard with a javelin? Are they carrying their own stockpile of food? Okay, you'll probably want friends so you shouldn't be too picky. If you're not going to assess them for their goods, at least consider their character. Does your gut tell you they're trustworthy? If you're all alone, keep a look out for lights and fires at nighttime. If you see one or more, consider venturing out yourself to make new best friends, but only if you think the end would justify the means. How far away is the light? How quickly could you get there? What would you be risking by leaving? Are there predators or obstacles in your path? You may be better off being alone, for now. This will arguably be the hardest thing, especially if you're alone or wounded. But ultimately this hardship will be easier to handle if you remain optimistic about it. And if there are children with you, all the more reason. Do not let your ethics stand in the way of your identity. The rules are different now. Just because you decided someone isn't pulling their slack and the team should, therefore, cut their losses doesn't mean you've turned into an animal. Assess your moralities as you see fit, but understand that the world is a much different place now and you must adapt to it to stay alive and fruitful.